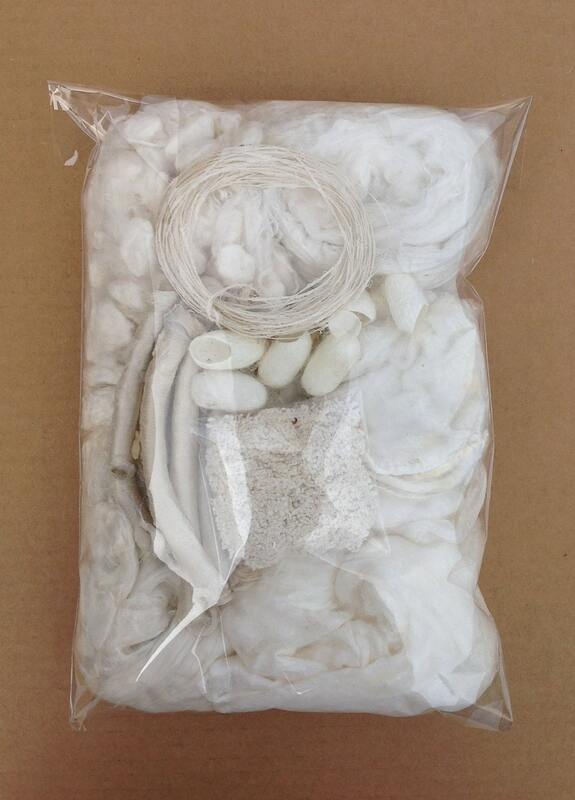 135g of mixed silk fibres - our pick and mix selection. The picture is only representative of the selection you will receive but all the photographs are representative of quantity. 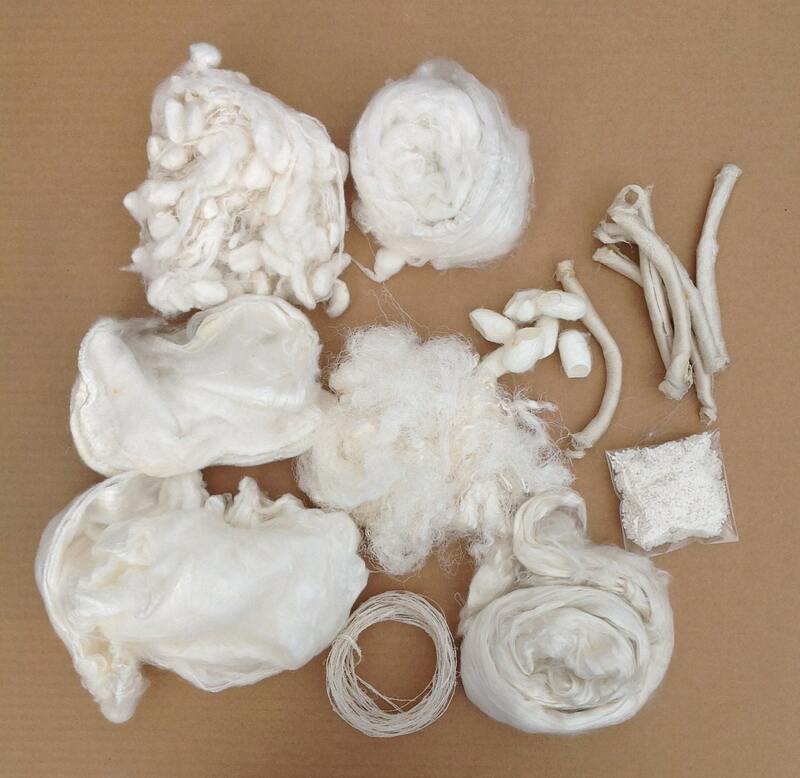 The contents will include all of the following - Silk Tops, Silk Laps, Silk Throwsters Waste, Silk Degummed Cocoons, Silk Mawata Caps, Silk Mawata Hankies, Silk Cut Cocoons and Silk Carrier Rods, Silk String, Silk Neps and may sometimes include Silk Cocoon Strippings, Gummy Silk Filament, Silk Filament Sheet, Silk Noil or any other Silk Fibres we have around at the time of packing. Use for weaving, 3D Sculptural Forms, Mixed Media Knitting, etc. etc. The Silk String is Ecru in colour. It can be dyed with both Procion MX dyes and Acid Dyes and also painted. SILK NEPS. 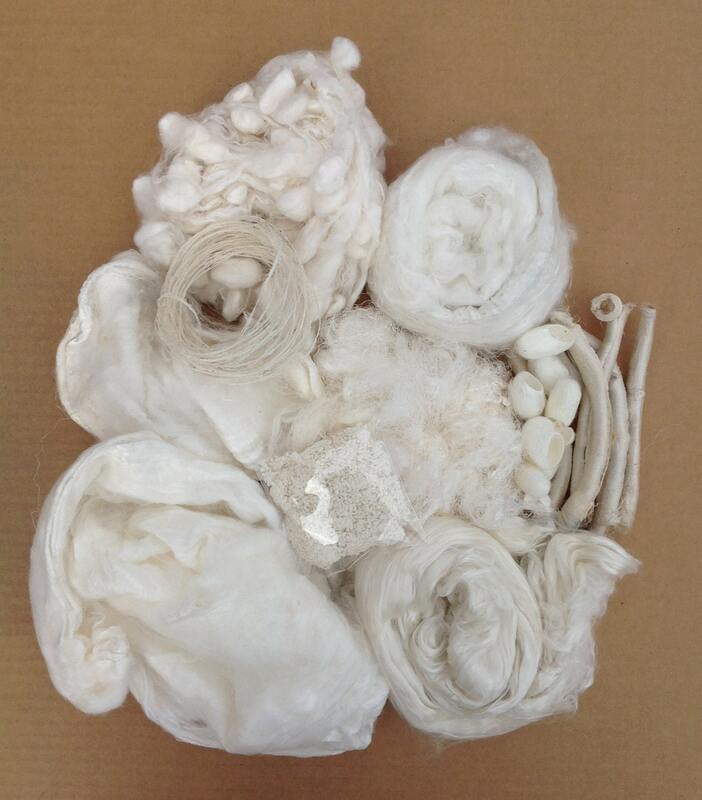 Silk Neps are little balls of Silk Fibre which can be included in your batts for spinning. They can also be included in wet felting and needle felting for added texture and they dye beautifully.